Esmerine was co-founded ten years ago by percussionist Bruce Cawdron (Godpseed You! Black Emperor) and cellist Rebecca Foon (Thee Silver Mt. Zion, Mile-End Ladies’ String Auxiliary) soon after the two met while recording the first Set Fire To Flames record Signs Reign Rebuilder (2001) at the old brothel at 10 rue Ontario Est in Montreal. Esmerine released two critically-acclaimed albums of modern chamber music, If Only a Sweet Surrender to the Nights to Come Be True (2003) and Aurora(2005) that have one foot in the new music/experimental terrain of contemporaries like Rachel’s or Town And Country and the other in the more visceral and lyrical landscape populated by the likes of Dirty Three (and GY!BE themselves). While Beckie’s activity with Thee Silver Mt. Zion increased through the middle of the decade and Bruce deepened his study and practice as an acupuncturist, the duo continued stoking the fires of Esmerine, with occasional live performances and special events in Montreal over the past few years – often including invitations to guest musicians to collaborate with the group on one show or another. While Esmerine had made deft but sparing use of guest players on previous records, their collaborations and performances over the past two years opened the band up to two new players in particular, who were invited to join as full members: harp-player Sarah Pagé (Lhasa de Sela, The Barr Brothers) and multi-instrumentalist Andrew Barr (Lhasa de Sela, The Slip, Land of Talk, The Barr Brothers). They were all introduced through their dear friend Lhasa de Sela while Lhasa was working on her third and final record in Montreal. 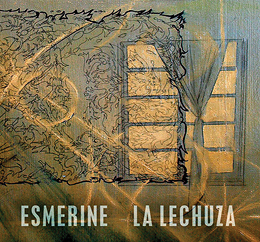 With this expanded line-up, Esmerine recorded a new album,La Lechuza, in 2010. La Lechuza was predominantly tracked by Patrick Watson at his Montreal loft, and Watson sings on three of the album’s songs. Other musical guests include Sarah Neufeld (Arcade Fire), Colin Stetson, Mishka Stein and Robbie Kuster. Mark Lawson (Arcade Fire, Unicorns) mixed the bulk of the album’s tracks. La Lechuza is dedicated to Lhasa de Sela, who died of breast cancer on New Year’s Day 2010 at the age of 37. The album closes with a previously unreleased version of the Lhasa song “Fish On Land” that was recorded with Bruce and Beckie in 2008 during the sessions for Lhasa’s self-titled third and final album. 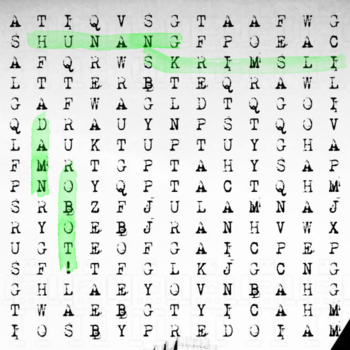 This entry was posted on June 7, 2011, 10:25 pm and is filed under Playlists. You can follow any responses to this entry through RSS 2.0. You can leave a response, or trackback from your own site.